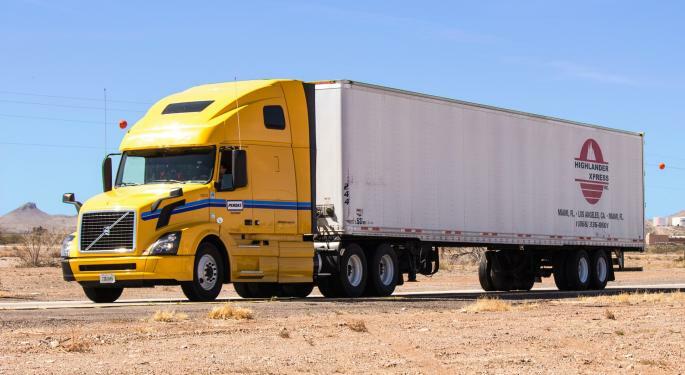 J.B. Hunt's (NASDAQ: JBHT) earnings report has some questioning if the truckload (TL) carriers are likely to miss earnings now and how will the stocks perform moving forward. FreightWaves believes that the concern may be a little overdone, as explained in a transportation earnings preview. JBHT reported $1.09 per share in the first quarter of 2019, compared to $1.07 per share in the same period last year and analysts' expectations of $1.25 per share. The company saw weaker than expected trends across all of its segments, most notably in its intermodal division as loads were down 7 percent year-over-year (y/y) due to planned rail lane closures and subsequent re-routings which had been anticipated by management. Additionally, severe weather forced some intermodal freight to be hauled by truck and some loads were cancelled completely. The fact that the company's intermodal division hasn't seen a recovery yet even as rail service has begun to improve is of note though. On the earnings call, David Mee, JBHT Chief Financial Officer, stated, "When the service began to improve, we did not see a snapback in customer demand in March, which was our biggest surprise and frankly a miss to our expectations. While it is way too early to make a trend call for even the second quarter of 2019 or for the rest of the year, we are still waiting for customer demand to accelerate." Terrence Matthews, Executive Vice President and President of the company's Intermodal Division, also commented on the lack of improved seasonality, stating, "The other thing that we're hearing from customers is that the warehouses are full. We've got a very late spring and typically the restocking of spring merchandize did not show up in March as it has in past years." But why aren't all the TLs in freefall? JBHT is an intermodal heavy operation (more than 50 percent of revenue). While intermodal is seeing a rough patch as volumes are lower on rail outages, poor weather and general economic softness, the TLs have seen positive pricing results thus far. JBHT saw a 12 percent increase in rate per loaded mile, P.A.M. Transportation Services (NASDAQ: PTSI) reported a 14.5 percent increase in revenue per total mile and Marten Transport (NASDAQ: MRTN) reported a 12.9 percent increase in revenue per loaded mile in its TL division (up 5.1 percent in its dedicated operation). Stock prices of most of the TLs are off from their mid-February highs, which is about the time weakness in freight-related data points began to be noted. Additionally, as the quarter progressed and the softness in the freight markets became more apparent, some analysts began to modestly lower their estimates. The combination of a pullback in stock prices and lowered estimates took some of the 2018 exuberance out of first quarter earnings expectations. Also, the group has a bit of a buffer regarding pricing as 2018 spot rates remained firm well into the year. 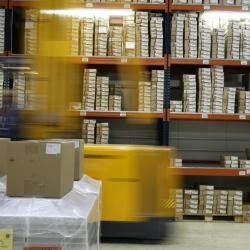 There is still a lag remaining in contractual pricing; contracts are normally one-year agreements. 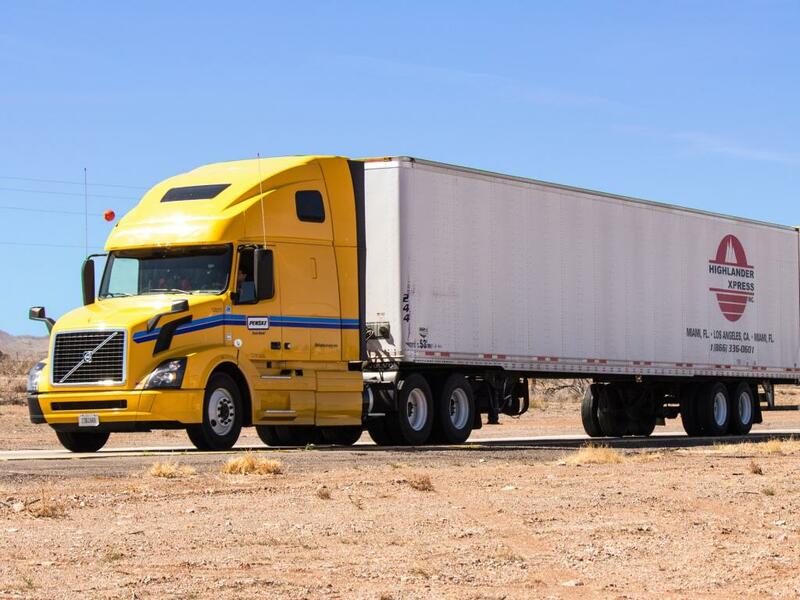 The carriers are reporting strong contractual pricing in the first quarter as they work off of contracts that were negotiated in 2018 when spot truck rates were much higher. The Cass Freight Index for expenditures (all modes) saw noticeable y/y increases of 7.8 percent in January, 5.5 percent in February and 6.1 percent in March. This has provided the first quarter of 2019 with a favorable comparison (even though unfavorable weather conditions have eaten into some of these pricing gains), which will likely continue to be the case in the second quarter of 2019. On the earnings call, JBHT management still believes that the macro outlook is fine. "Yes, I'm feeling okay about the rest of the year. The Purchasing Manager Index that we follow I think hit 55, which is up from the previous month and which is strong, so that tells me that people are going to be buying things in the future; that with a late spring then hopefully we can get the tariff noise out of the way. Those three things should mean that we have a reasonable year in 2019," said John Roberts, JBHT Chief Executive Officer. FreightWaves expects that TL pricing results will continue to be up meaningfully, saving the quarter for many carriers. As noted above, the quarter has been marked by poor weather and decelerating volume trends. FreightWaves' analysis is that favorable pricing will provide a buffer to earnings in the near-term, but that real demand catalysts are needed to preserve the current earnings outlook for 2019.